Sport Elite Multi features vitamins and minerals from the best possible sources, ensuring the formula is BIOACTIVE (ready for your body to use), COMPREHENSIVE (includes a broad array of ingredients and nutrient blends), and STABLE (maintains potency and efficacy up until expiry). • Coenzyme Forms – A phosphate group is attached to the vitamin, making it bioavailable and ready to use. • Blends – Different ingredient sources can absorb at different rates, get used in different ways and live for different lengths of time in the body. energy production, glutathione recycling, immune and inflammation response, healthy gene pathways and more. This process happens billions of times per second and, especially when under stress, can become depleted. ✔ Tongkat ali, a plant native to Indonesia and universally known as “Nature’s Viagra”. 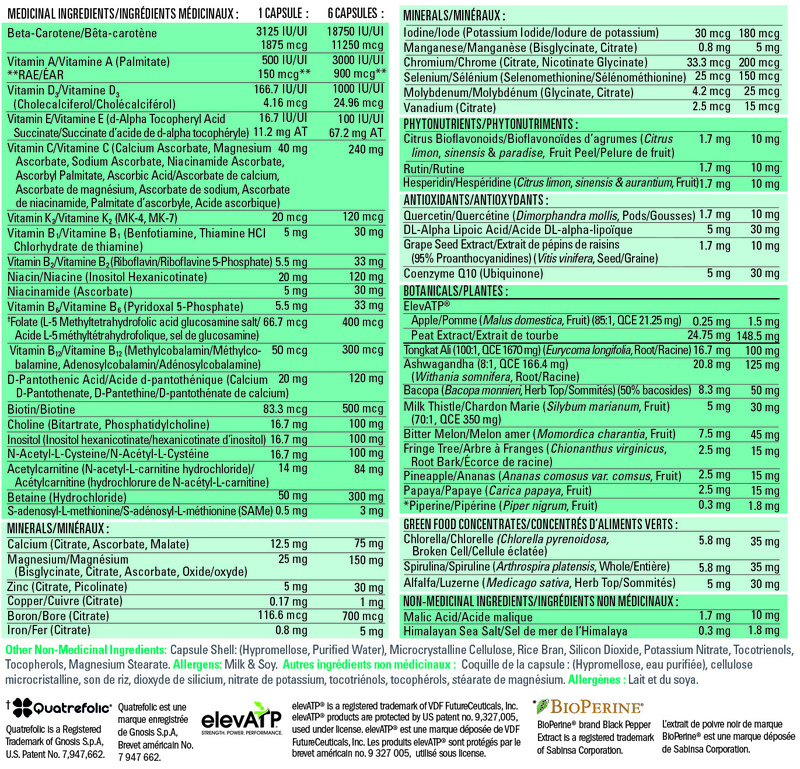 It is safe for both men and women, as it does not affect your natural testosterone to estrogen balance. Free radicals, physical stress, exhaustion and lactic burn can seriously impact your performance. 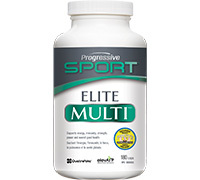 Progressive SPORT ELITE MULTI offers the right ingredients to help protect your cells, assist with recovery and more.